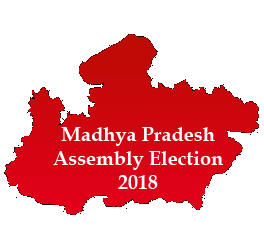 April 16 (WTN) - As the dates of MP Assembly election 2018 are coming near, the political scenario is heating up. Today, in a debate between senior Congress leader Suresh Pachouri and Uma Shankar Gupta, Minister of Revenue and Science & Technology, Government of MP, Pachouri categorically said that present government had failed completely in heath, education, financial management, farmer welfare and employment. He presented statistics of CAG and NITI Aayog and said that MP is way behind other states in health and education. He said that Shivraj government has not fulfilled the poll promises. Uma Shankar Gupta, compared former Congress regime and BJP government and said that GDP of MP has grown. Rural electrification, availability of water, improvement in conditions of road, improved crop productivity has tremendously helped the state of MP to grow and these are big achievements of BJP government. He accepted that the government has to do much more in healthcare. Ha also stated that the state has not taken overdraft in last 13 years which reflects proper financial management and all financial institutions are willing to extend the loan to MP. Jyotiraditya Scindia joined the debate and stated that this is “Karo Ya Maro” condition for congress in MP in 2018. Congress has won recent by-polls and that is a pointer that that congress will do excellently in 2018. He said that the face under which the MP congress will fight elections is to be decided by top management of congress.